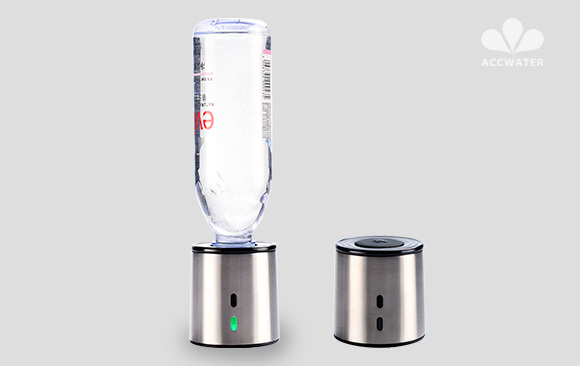 The hydrogen water generator bottle makes the water in a high hydrogen concentration from 1400ppb-3000ppb,ORP from -300mv to -600mv.Most Important,with its high quality of DUPONT N117 membrane,it puts only pure H2 into the water. Oxygen, Ozone and Chlorine are separated out. So the hydrogen water you get is 99.99% pure H2 and NO Chlorine,No Oxygen,No H2O2,NO Ozone. Able to attach disposable plastic drinking water bottles,portable for travel,work and office. Any kind of water can be used:Mineral Water,Pure Water,and Distilled Water is welcomed. 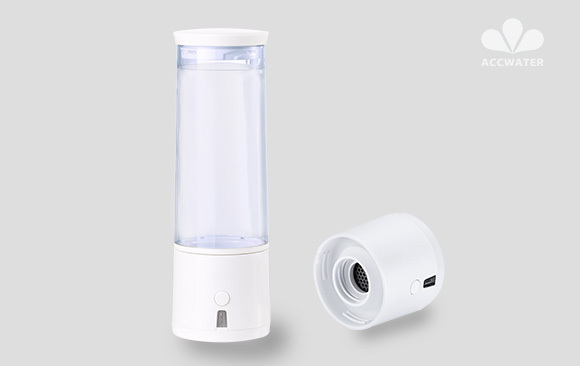 It can electrolyze hot water, even can directly make high purity hydrogen rich water and make a tea at the same time. Super-high concentration:Hydrogen concentration up to 1400ppb for once, Hydrogen concentration up to 3000ppb for 2-4 times. 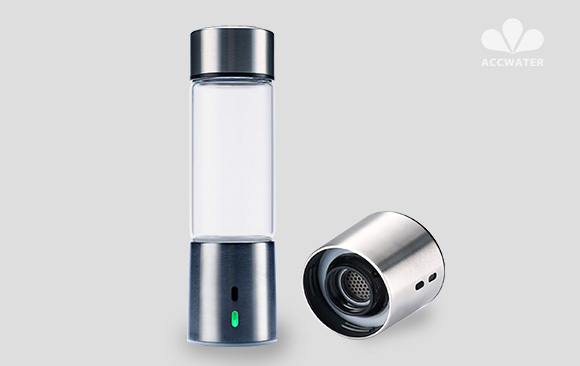 Pure hydrogen Water: Hydrogen purify up to 99.99%,only pure hydrogen water in your bottle. DUPONT N117 membrane with implanted in space quantum technology, makes hydrogen concentration higher, permeability stronger, water molecules smaller. Tritan material,Material of Food-grade feeding Bottles of the Same Quality in America,No release of harmful substances such as bisphenol A. It can electrolyze hot water, even can directly make high purity hydrogen rich water and make a tea at the same time.